Human bladder infected with Schistosoma haematobium. 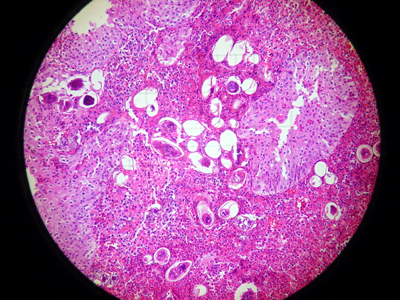 Eggs are widely scattered in the tissue. H&E, X100.